The Rebel Sweetheart. 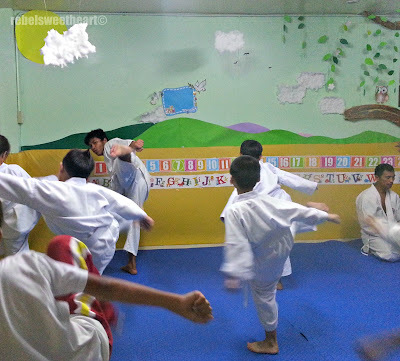 : Wordless Wednesday #137 | Training the Dragon. The little man enjoyed karate so much that he decided this is going to be a long-time thing and not just a summer activity. Which is good, since I want my son to be completely bully-proof. 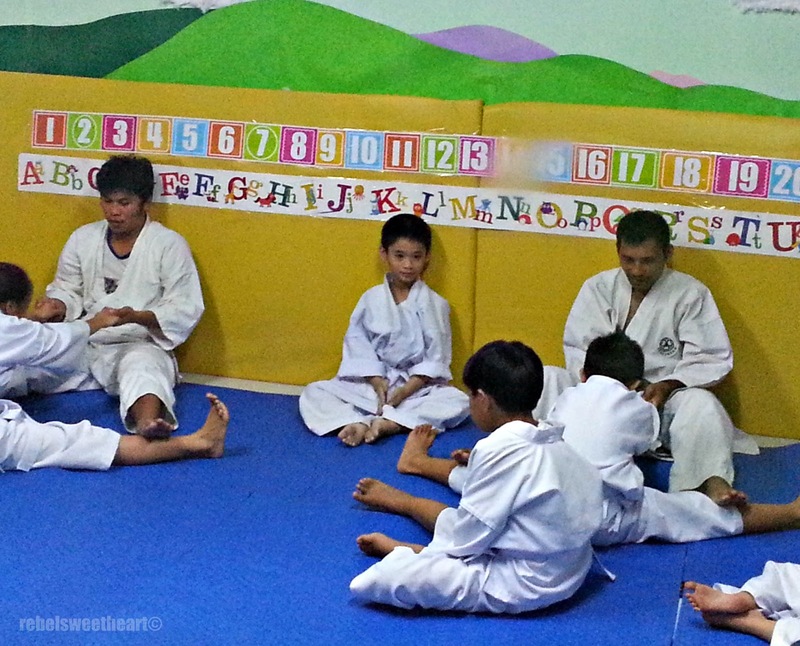 So now, our Saturday mornings are spent at K2LC, where the boy (still) trains with Sensei Danny and Senpai Louie. Senpai Louie, the Little Dragon, and Sensei Danny. My grandson is coming to sty for few months this summer and we are enrolling him in some sort of martial arts class. Great photos, thanks for stopping by #OMHGWW this week! Martial Arts is a great thing to get involved in! And it will be good if they can really stick with it until they've grown. It's a very good skill to have. My girls are both in Tae Kwon Do. When my sons are old enough, they will do it too. Someday, I will too. And when my husband finds the time, he will too. I think that in this day and age, being able to defend yourself is a must! So nice to see that your little man is enjoying his Karate sessions. Oh boy I don't miss spending weekends at activities. But I guess we're going to be going through that again soon. Looks like fun. 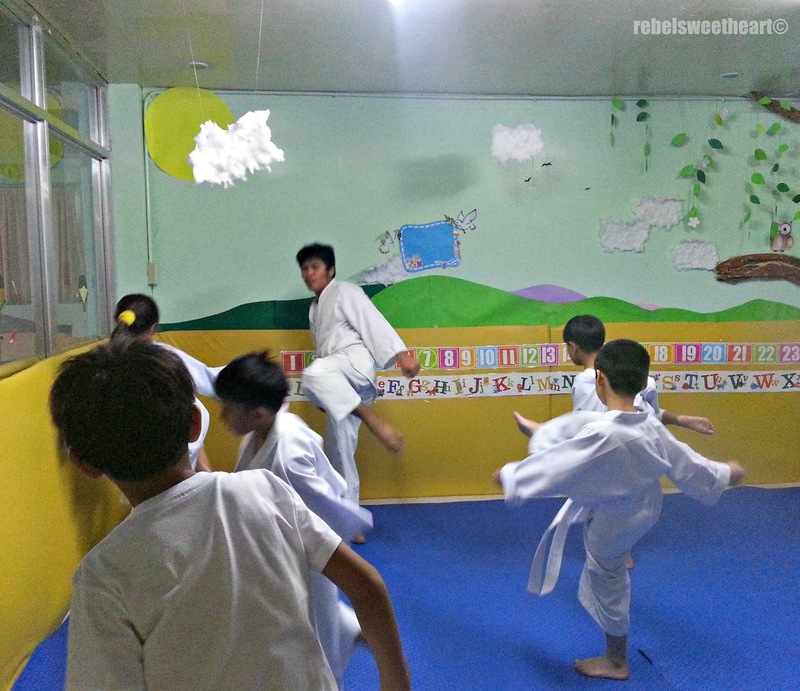 My son chose to give up martial arts for sports. This looks like a ton of fun. I wish I could enroll both my boys into karate. I love martial arts! I just got my black belt in Taekwondo! Karate is great sport for the kids in many ways thanks for sharing glad your kid is enjoying the sport. More than self defense, martial arts will instill discipline in him. I'm sure your little boy is doing an awesome job in karate. How fun! Karate is a great sports for kids. I cannot get over how cute it is to see little kids in karate. Love these! It's awesome when they find something they really take to like that. I'm glad he enjoys it! I love the spiritual side of martial arts. It seems like a great activity for kids to develop themselves in powerful ways.